Joseph Rodgers is a senior at Texas High School who, for some reason, enjoys not having any free time and basically lives at the school. 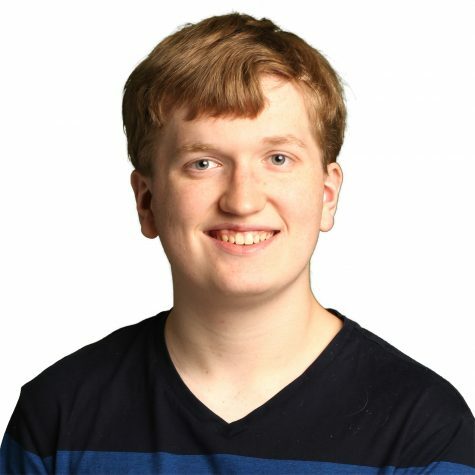 As the other online editor in chief in the “Dream Team” with Victoria Van, he checks Google Analytics every five minutes, comments on every Trello card on the board, and adds smiley faces to the end of every sentence to ensure he maintains his position of being the “good cop” of newspaper. He looks forward to the prospects of newspaper this year, but admits that there will be major challenges to face as well. Outside of Newspaper, you will find him giving a lecture on Russia’s stance on nuclear proliferation in his Model United Nations club, studying for one of his six AP classes, or completing a portion of the plethora of I-have-to-do-this college applications and scholarships. Currently, he is interested in studying engineering or business in college and then going into the aerospace, medical, business or technology industries. When you see him, give him an encouraging phrase, and that may just be what gets him through the day — or the long night.